See more objects with the tag circles, domestic, timekeeping, time, measuring, tool, numbers, rectangular, gears. See more objects with the color tan rosybrown sienna saddlebrown dimgrey or see all the colors for this object. This is a Box clock. It is dated ca. 1816. 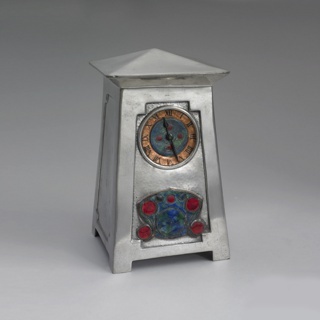 Its medium is wood case with painted dial on glass door, lead weights, paper. 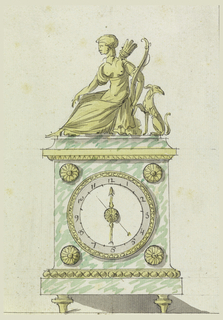 Invented in Europe just before 1300, the mechanical clock was for centuries a rarefied symbol of wealth and power. 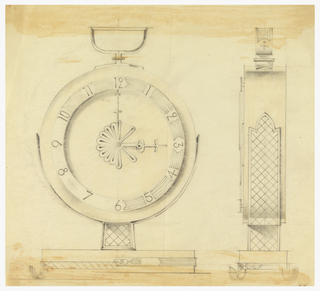 By the nineteenth century, several Connecticut inventors, including Eli Terry, were producing less expensive timepieces for the growing middle class. But it was Terry who effectively advanced clock making from craft to factory process. 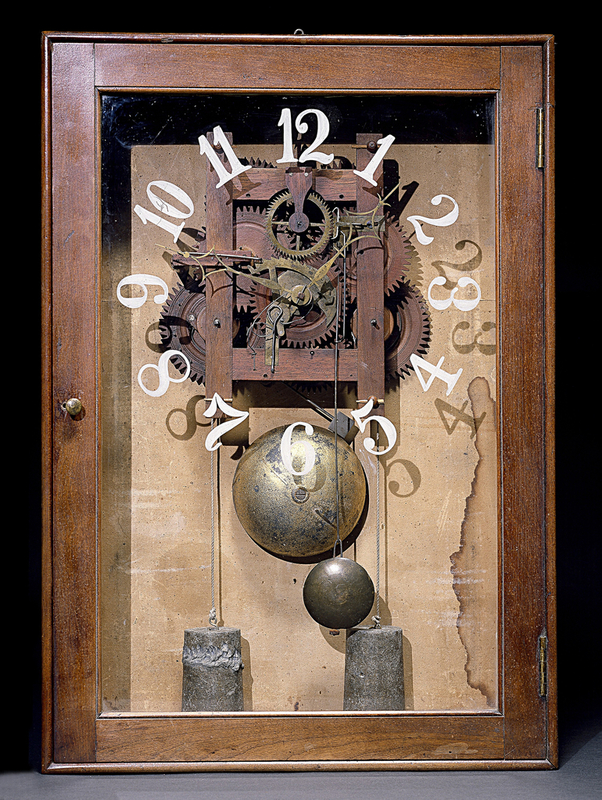 Known as the "American system," water-powered machinery mass-produced uniform, interchangeable wooden timepiece parts, rather than expensive brass, In 1816 Terry devised this distinctly American mantel clock, smaller than traditional tall clocks, with a simple wooden box case and a glass door bearing reverse-painted dial numbers. 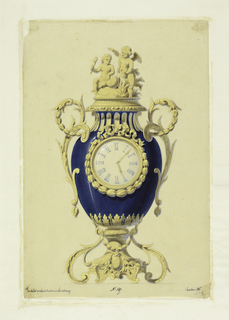 In 1823, after a series of refinements, Terry patented a version of this clock, a wooden, weight-driven, hour-striking device known as the "Connecticut pillar-and-scroll clock.". 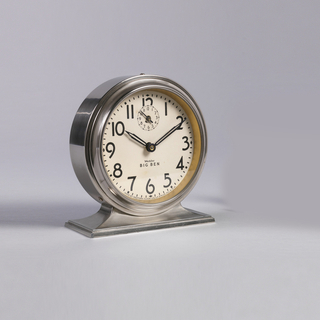 Terry’s immediate success spawned imitators eager to capture the lower-cost clock market. 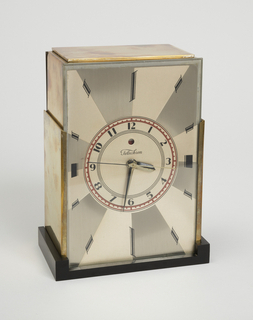 Low-cost clocks played a significant role in transforming the rural North, setting the industrial revolution in motion. It is credited Smithsonian Institution, National Museum of American History, 317044.